Rubber washer on pump shaft - is seal failing? Yesterday I noticed what appears to be a rubber washer spinning around on the shaft of my pool pump between the motor and the impeller housing. Is this normal? I don't know why that would be there unless something is loose in a seal. There is no water dripping but I would like to go ahead and fix this if it could be a future problem. 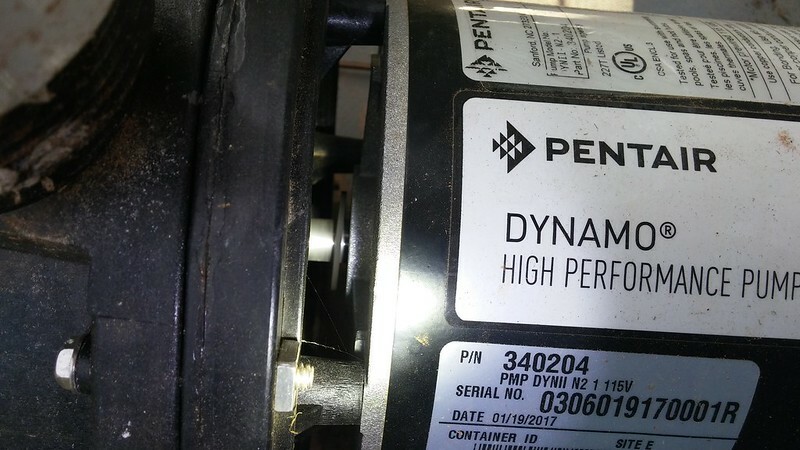 This new pump has only been in service, typically 8 hours per day on low speed, for about a month and a half. 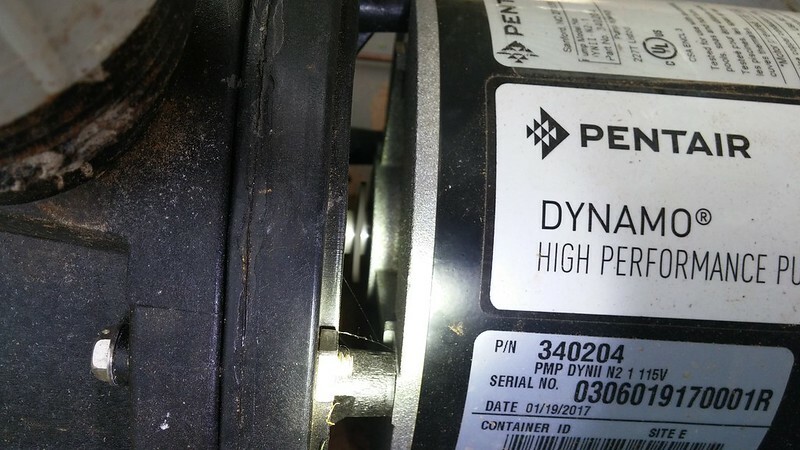 It is a Pentair 1 HP 2 speed pump. The pump is not making any noise and still has a very strong flow to the pool even when on low speed. The pump was on when the pictures below were taken. Thanks for any insight. Nope that is a part that is supposed to be there. It's called a slinger and its job is to keep any water that leaks past your seal from traveling down the shaft and into your motor. Great. Thanks for that information. One less thing to worry about. I wish they included that in the parts diagram in the manual. Thanks again.